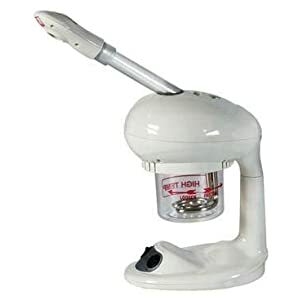 Features: 2IN1 application: Hair Steamer (treating brittle & damaged hair) & Facial Steamer (treating pores & dry skin)Auto shut-off function for safety when the water level mark is too lowUV ozone function to increase the vapor quantityMain Part: PP MaterialSupport Pillar: Stainless SteelWater Container: GlassPure water and distilled water are suitableTable top design for personal care at home or salonGreen light disinfection functionSpecification: Voltage: 110VPower: 400WDiameter of Hair Cover: 13.4" (34cm)Length of Spray Rod: 10.24" (26cm)Max water level mark: 400mlPackage Content: 1x Hair & Facial SteamerNotice: Main image shows unit in two different configurations. 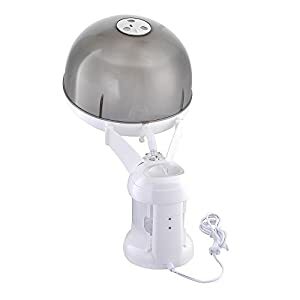 Item for sale is ONE multi-function unit (facial and hair steamer).For protecting the product,please don't use the running water and stop put additives in the water,such as Essence. 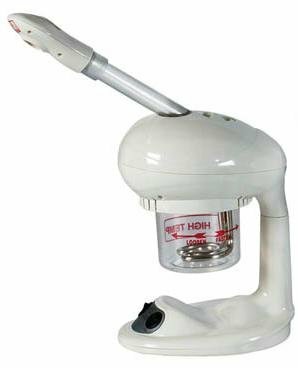 This portable facial steamer is intended to apply steam to the face, dilating the poors to allow for deep skin cleansing. 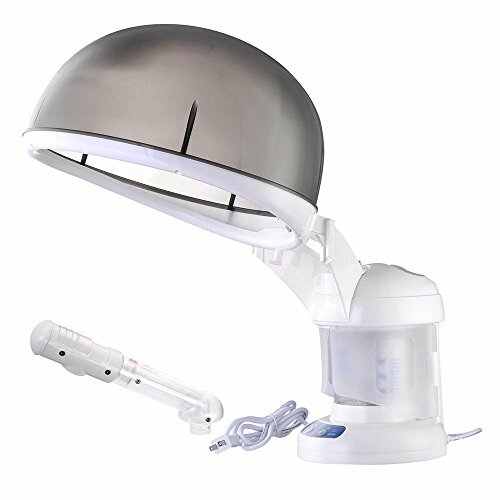 UV light allows the oxygenation of the steam for nourishing and detoxifying the skin.